Torn Lives is three heart wrenching tales. In The Pillow Talk That Betrayed Her, Shaunia Blackman comes to terms with a betrayal she didn’t see coming. The man she loves, Patrick O’Connor, is the man she now wants to destroy. A secret is revealed, lives are destroyed, but will time heal their wounds? If no one hears her secret, no one can reveal her secret. Will you judge Shaunia Blackman for her actions, or feel compassion for her? A Violent Turn bring to life real issues that most people do not want to talk about. Eric Green falls in love with his high school sweetheart Beverley Harris. But he has no idea how deranged Beverley can be if she doesn’t get her way. Destruction and pain become intertwined with love and lust. Which will prevail? In The Vengeance They Didn’t See Coming someone is about to be exposed. Kayla Johnson and her best friend Jayson Whitman use their detective skills to seek justice for Mr. Bronswich. He suffered a tragedy at the hands of a man named Carlos Roulson. Kayla and Jayson are determined to make him pay for what he did to Mr. Bronswich, but can they turn the tables on him? Torn Lives is a collection you do not want to miss. The author Yolanda Kinlock was raised in Brooklyn, NY. She is the author of the book Poems of Reality: The Experiences of Life. The author enjoys writing about pain, passion, fear, controversy, and the experiences of life. Her passion for writing developed when she was very young and continues to grow in her adult life. The author’s creative mind helps her to connect fictional and non-fictional incidents with real life issues. The controversial writer has written many enlightening articles which challenges the way we perceive certain issues, and situations for several online magazines. Yolanda Kinlock; graduated from John Jay College of Criminal Justice where she earned her Bachelor of Arts degree in Criminology. In addition, she earned her Associate of Science degree in Business Administration from LaGuardia Community College. 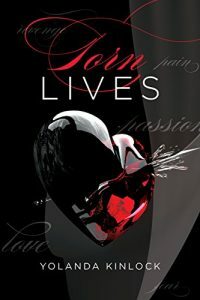 The author hopes that everyone will enjoy reading Torn Lives just as much as she enjoyed writing it.